Kim Kardashian is many things: Beauty mogul, businesswomen, mother, adult film star, and probably the most famous member of the world’s most managed family. But it seems Calabasas mansions aren’t satisfying the hunger for more fame, wealth and power anymore – and Kim might just have her sights set on the White House. After a pop culture socio-political pow-wow with the 45th President of the United States, and fellow former reality TV star, Donald Trump on may 30, Kim Kardashian has been musing her political prospects. CNN‘s Van Jones asked if she would run for office in an interview set to air on The Van Jones Show. When Kim Kardashian Met Donald Trump is the Nora Ephron movie literally no one asked for – and yet, we might be in for a spin-off stranger than fiction. The formidable pair met to discuss the case of 63-year-old Alice Johnson, a great-grandmother and non-violent first time drug offender, who’s currently serving a life sentence without parole. Credit where credit is due: Kim was successful and Alice was granted clemency and able to return to her family. Ms. Kardashian you are literally helping to save my life and restore me to my family. I was drowning and you have thrown me a life jacket and given me hope. Far be it for anyone to tell another person what they can and can’t aspire to – but all the same, it does seem a worrying state of affairs when the current President can use a public figure as a mouthpiece and PR stunt to distract from the real need for widespread prison reform in America. It seems Kim, a Democrat, has now got a taste for bi-partisan political do-gooding. She recently starred in a homage to Jackie Kennedy Onassi, the wife of the 35th President of the United States, John F. Kennedy, and the First Lady of the United States from 1961 until his assassination in 1963. 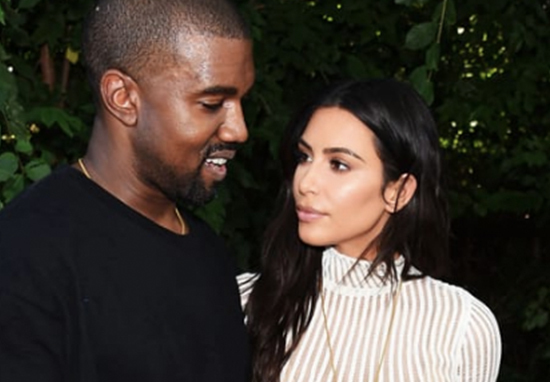 Her husband, Kanye West, has made no secret of his political ambitions, or his personal support for Trump. Anyway, it certainly wouldn’t be the first time a reality TV star and businessperson has made it into The White House. Hey, nepotism got a lot of Presidents to the Oval Office. Stranger things have happened. Everyone laughed and joked last time – so it would be remiss not to acknowledge America finds itself in a situation where it’s not totally inconceivable for someone of little political qualification and nouse to rule over the West Wing. Hypothetically, it would make Kim the first female President, and the first Albanian-American President. What on earth would the Kampaign look like? Free lip kits to all on a national beauty plan? Moulded busts of Kim’s body and scented manifestos? Could we be seeing a new Kim-mander in Chief? You can watch the full interview via CNN’s The Van Jones Show, which aired on Saturday at 7pm.